Is the Chanel Soleil Tan De Chanel bronzing base worth the hype? It’s no doubt that Chanel makeup is very luxurious and high end, but I’ve noticed that just because something is name brand and expensive does not mean it is necessarily a quality product. 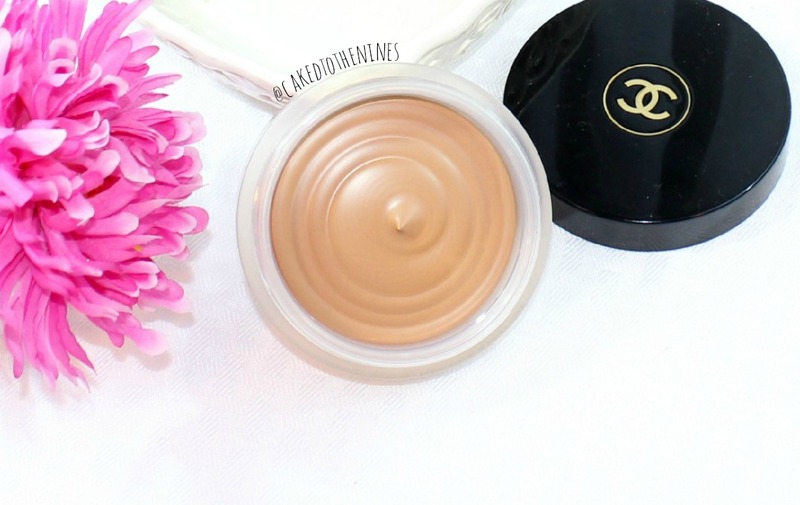 The Chanel Soleil Tan De Chanel bronzing base is very popular, but is it worth the hype? The Good | Velvety, applies smoothly, easy to blend out, not heavy or cakey, long lasting, lots of product, luxurious, travel friendly, versatile. The Bad | May not fit everyone’s budget, color is not suitable for all skin types (too orange for fair skin tones and too light for deep skin tones). The product itself has a velvety gel-cream consistency that applies very smoothly to the skin. It isn’t patchy or too heavy at all, which makes it very easy to blend out for a sun-kissed bronze. The finish of this is not completely matte. I would say this is more like a satin/skin-like finish. This lasted on my skin for about 7 to 8 hours (depending on the weather outside) without any primer or bronzer on top to set it so I would say it lasts a good amount of time before fading. The color is very warm and looks orange, but when applied to the skin it isn’t oompa loompa-y at all. If you have very fair skin then I think this could be a bit too warm and orangey for you, but if you use a light hand it should be fine. If you’re darker than a MAC NC42, this might be too light for you. I’m an NC40 and it’s still very subtle on my skin once blended out. I like to apply this like I would any bronzer, but you could also mix this in with your foundation to warm it up a bit if it is a bit too light for you. This works great not only as a bronzing base, as the name suggests, but it works nicely on it’s own. However, if you do want a more intense bronze look I would definitely go over the top of this with a powder bronzer. 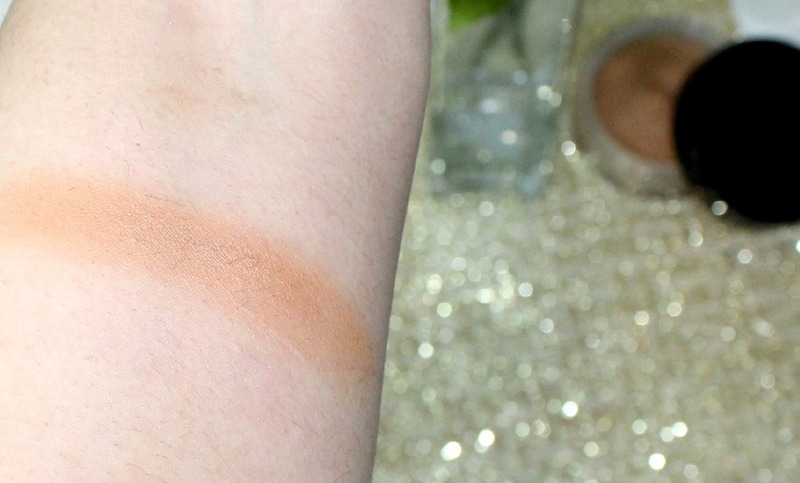 Swatch of the Chanel Soleil Tan De Chanel bronzing base. My favorite way to apply this is with a stippling brush. More specifically, I love using the Real Techniques stippling brush because the bristles are firmer and sturdier compared to some other stippling brushes so it picks up and blends product out nicely. Sometimes I even use a foundation brush to apply this and then blend it out with the original BeautyBlender since it blends product out very nicely. The Verdict | I think this is definitely worth the hype if you’re into a natural sun-kissed look. You get a lot of product for your money ($48) so I don’t think it’s overpriced because it will last you a long time. It’s also a versatile product because you can apply this on your own for a more daytime appropriate look, apply another powder bronzer over this for a more dramatic night time makeup look or blend some in with your foundation to add a warm glow all over. It’s definitely a luxurious product that is worth the money in my book, and since it comes in a frosted plastic container it is travel friendly. Have you tried this bronzer or any other cream bronzer? What are your thoughts? Let me know in the comments below!